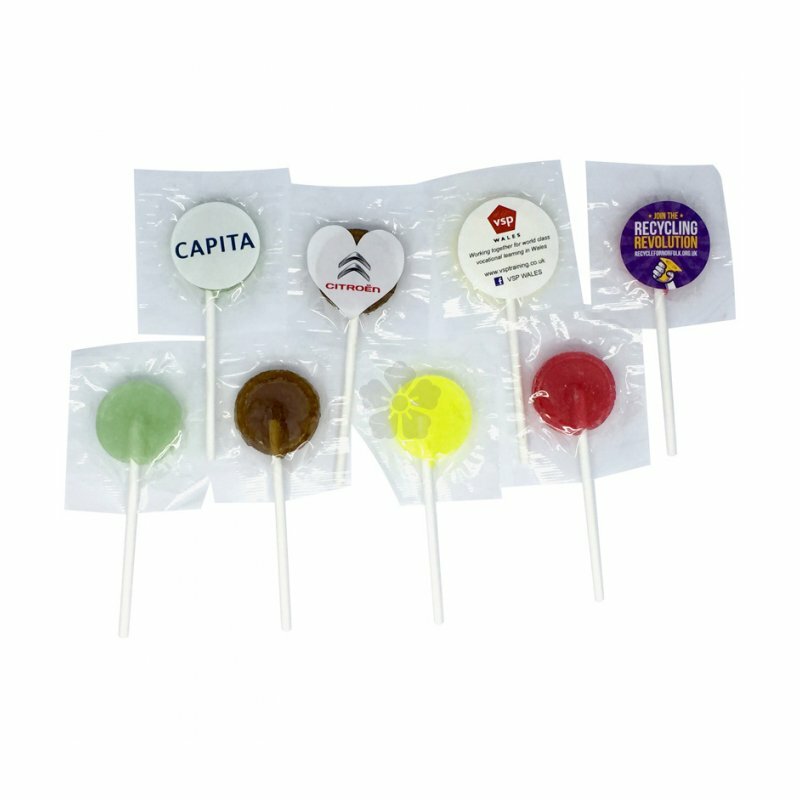 5g lollipops with process printed label. Mixture of flavours: apple, cola, lemon and strawberry. Any combination is possible. 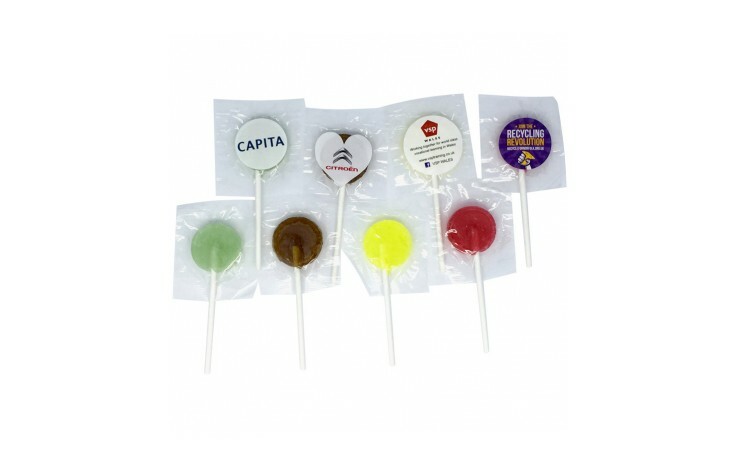 Also available with printed wrapper.